This MOMables Monday idea actually came from Little Miss herself! The idea came to her on Saturday. 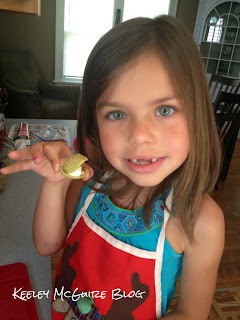 She was eating some veggie chips & dip and came up with these "oyster veggie chips"! She made what looked like oysters as she was snacking and put a dab of dip in the center and said it was the pearl. So cute! She then asked if she could make her own lunch on Monday and put them inside. So it seemed fitting to make our MOMables Tuna Salad to go with her underwater themed lunch. I made the tuna salad and we then cut out two mini fish shaped sandwiches from our Udi's bread. She decorated them with our Betty Crocker Easy Food Writer pens. 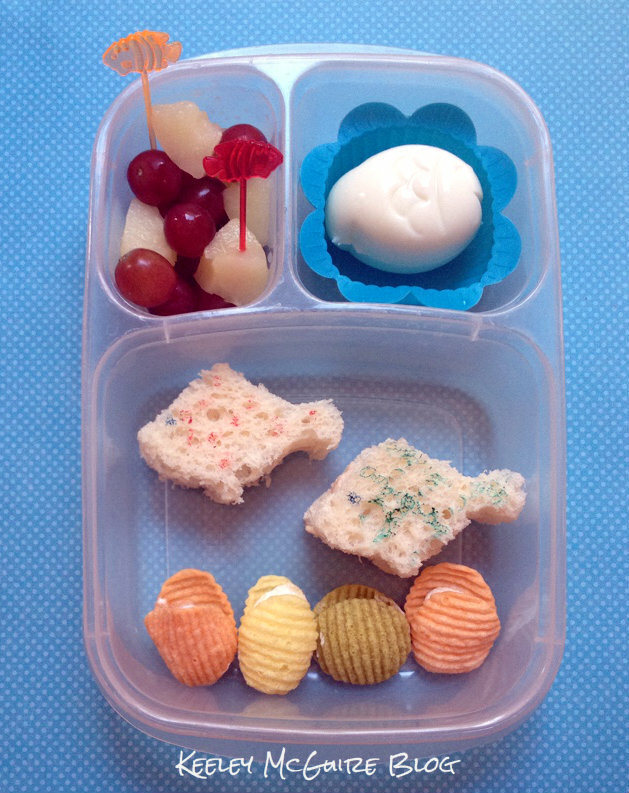 She also has a fish shaped hardboiled egg in the top right compartment and the top left has a grape & pear fruit medley with two fish shaped plastic picks. 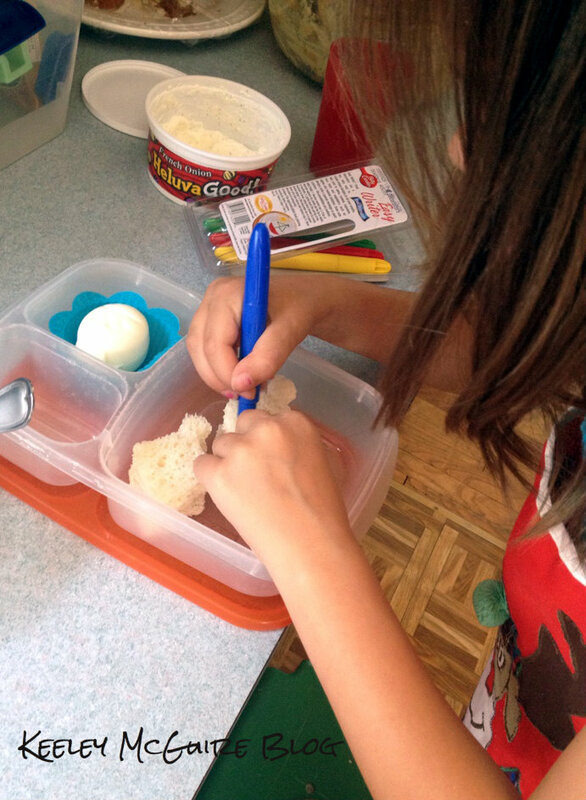 Lunch is packed in one of our EasyLunchBoxes containers. Awww, great job. Little Miss! I am digging those veggie chip clam/oyster shells with pearls :) You're becoming a pro! Oh my gosh! She's so cute!! !